Well, maybe I’m prone to imagining versions of Ed Figueroa because he made some headlines yesterday in the imaginary world over at Play That Funky Baseball, the site currently replaying the 1977 season in serial novel form. The biggest story of the resurrected season so far has been Rod Carew’s 46-game hitting streak, which came to an end yesterday at the hands of Figueroa and the Yankees. And speaking of baseball replay, I have an article up on the Huffington Post that bloviates with varying degrees of coherence about the current Joyce-inspired clamor for the expansion of the use of instant replay for umpiring decisions. Please see my “book tour events” page for more details about other upcoming events, including a June 10 appearance in South Pasadena, a June 12 appearance in San Diego, and a June 13 appearance at the Printer’s Row festival in Chicago. Let’s sneak in a conversation about baseball before the yearly sickness descends upon me, changing me from a guy who does not care at all about college basketball into a fanatic whose entire existence depends upon it. This malady, which is not altogether unpleasant despite the overwhelming outward appearance of suffering in all its many subcategories, such as disappointment, frustration, anger, dyspepsia, insomnia, helplessness, self-loathing, and shame. Ah, March Madness! But more on this later in the week, when I throw myself onto the tines of that 24-hour-a-day bracket-shaped mania. For now, let’s talk some baseball. The sun is shining in my window as I write this, spring edging closer. 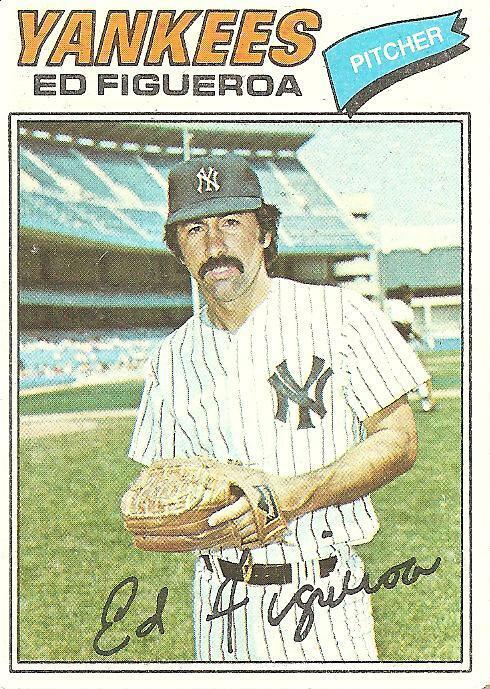 You might think I’d want to celebrate that development with something other than a mustachioed crater-faced sourpuss in a Yankees uniform, but, firstly, I have to admit some grudging respect for the unsung achievements of this key figure in the Yankees dynasty that soured my childhood, and, secondly, he’s a good illustration for the Nagging Question that’s been on my mind. Read the rest of this entry ? You are currently browsing the archives for the Ed Figueroa category.